Johns Creek resident and GSU professor Perry Binder says he wants to see students succeed, and that's why he's written a second book. "The jump from high school to college is a huge adjustment, and that's where my book comes in," he says. 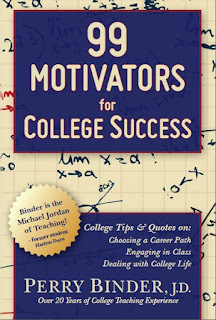 "99 Motivators for College Success gives bite-sized tips and quotes on how to succeed in the college classroom, in picking a major, and in adjusting to college life. 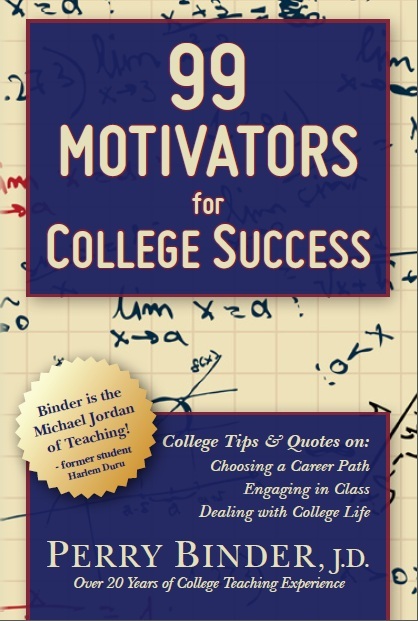 The book also offers guidance on how to study for multiple choice exams and write model essay exam answers"
Binder adds, "It is also for the parents of students to better understand what’s expected of children in college, and the pressures they face from professors, peers, and family members."